My name is Mike McGee. I’m a home school dad in the Alabaster area. I was wanting to see if you guys promoted any musical opportunities to your students. I was hoping to let you know what we have started for homeschool students in this area. Starting a few weeks ago we started taking students for a homeschool Drumline / percussion ensemble. I just wanted to let you know about what we are doing and our goals. This kind of came about because of a lack of affordable musical outlets for my own children. After some encouragement by the superintendent at our Christian Homeschool group we decided to move forward with the idea. The goal is to teach students the necessary skills to create music, read musical notation and perform with others. We currently are excepting students from 10 years old and up. There is no musical prerequisite and a student with no experience is more than welcome. 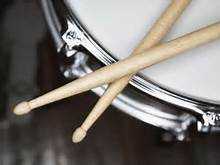 We have tried to minimize as much cost as possible so the only initial purchase required for students is a pair of sticks, a practice pad and a three ring binder. We currently meet on Thursday’s. We have two classes on that day. One at 12:30 to 1:30 and the second from 1:30 to 2:30. Classes meet in Alabaster. These are group classes. Group classes are $35 per month. We have private classes available and more info on those can be given if needed. Our future plans involve playing and performing at local homeschool football games, competitions, parades and other concert/recital opportunities as they present themselves. Again, I appreciate your time. Anyone interested can contact me directly at the number below. Please let me know if you have any questions.